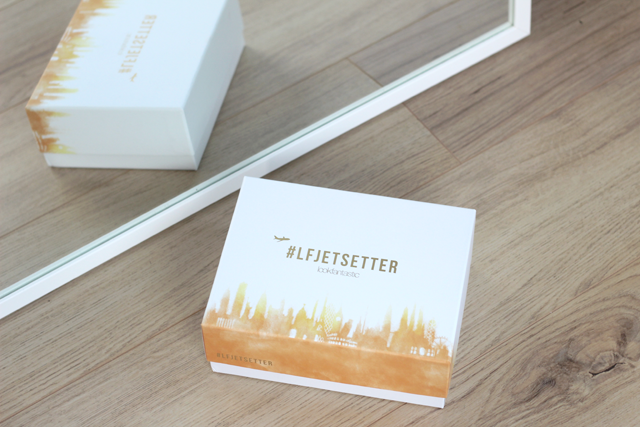 The day the postman comes with a little rectangular shaped package, I know the time has come for this months Look Fantastic Beauty Box - and this month it's the #LFJetsetter box! Celebrating the start of Summer, Look Fantastic curated a box to get you prepped and ready for your travels, where ever you may go (and what's best? Well, they're travel sized to pop in your hand luggage!). First on the list of all things exciting in this box was the little Cowshed bottle I noticed as soon as I lifted the lid. It's the Cow Pat Moisturising Hand Cream packed with ingredients such as Chamomile, Grapefruit and Cinnamon (so smells incredible) and is your go-to best pal for those muggy long haul flights. I love anything Cowshed related, the products always apply beautifully, so it's a real treat to find this one laying around in the box! 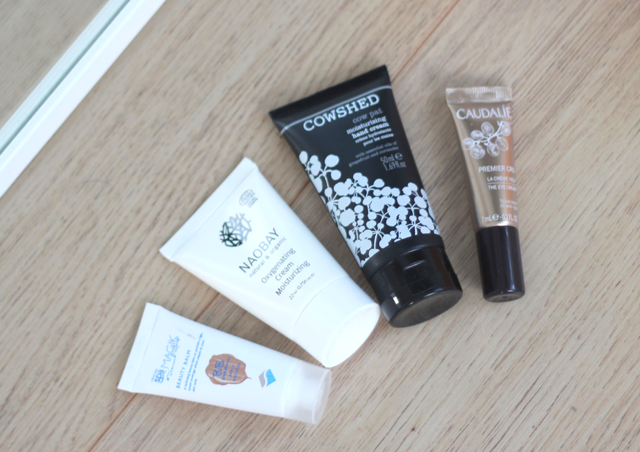 Also on my radar was the Caudalie Premier Cru Eye Cream in all of it's golden goodness. I'm quite a fan of their skincare as it's such premium quality, so the opportunity to try even more had me secretly a little bit giddy! This eye cream promises to tackle dullness and brighten up the skin, with copper, silver and iridescent pearls infused within. Fancy huh? I'm definitely looking forward to feeling all royal using this product! 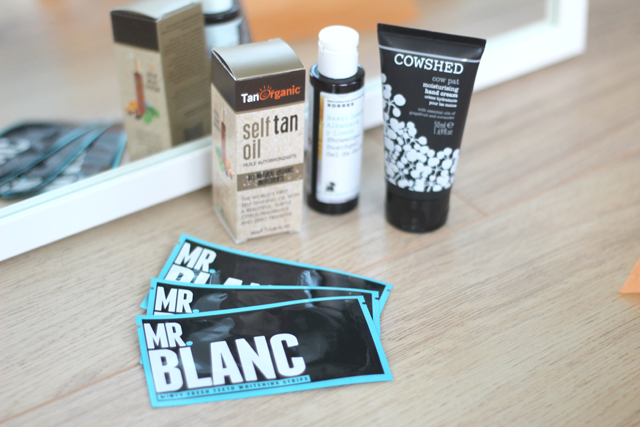 A celeb favourite in the box was a few sample uses of Mr. Blanc's Teeth Whitening Strips. I'm quite intrigued by the concept of these products and they seem to be a fair hit in the world of social media. I'm pretty precious about my teeth so in the past have given these to my mum, but this time - I think i'm ready to see what all the fuss is about. Mr Blanc promises to gently whiten without leaving any sensitivity and is clinically proven to safely whiten your teeth. Sounds good enough for me! 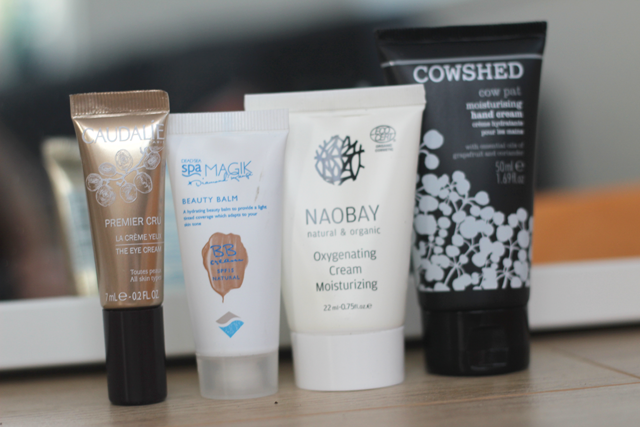 Lastly on the list of what's got me excited in this months box is the Dead Sea Spa Magik Beauty Balm. I've been looking for a new BB cream for quite some time after being unable to find one that didn't leave my skin oily (and subsequently frustratingly switching back to the trusty old foundation). Infused with Dead Sea Minerals and Vitamin E, this BB cream can be used as a foundation or a primer (win) and promotes hydration, nourishment and a flawless complexion. What catches your eye the most from this month's box? 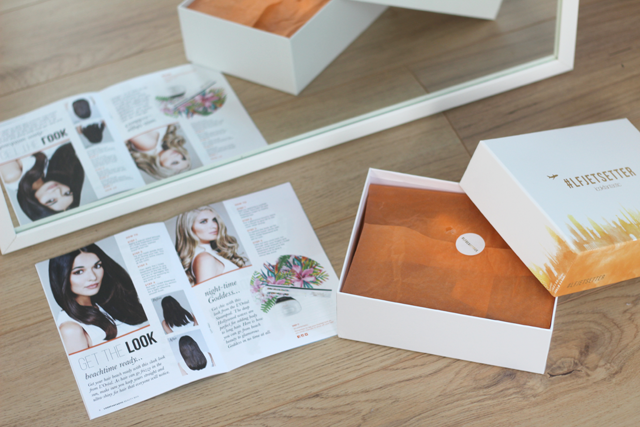 Shop this months box at Look Fantastic.